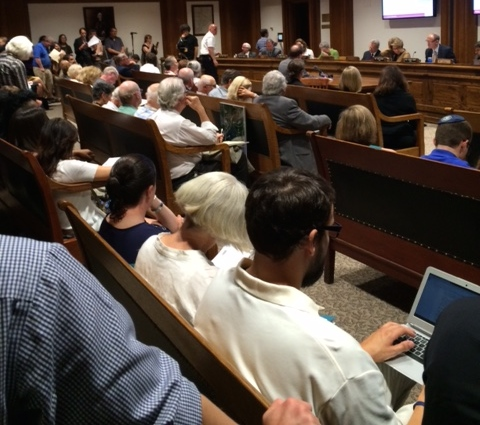 The State House hearing on H2032 wrapped up late in the day with Sharon Eddy’s testimony about Wind I in Falmouth (7/28/15). My first encounter with Wind I was at 11 pm immediately after startup. I was typing a letter on my computer when I felt a direct push on my chest. It knocked whatever I was thinking out of my head and I remember thinking, “What the heck just happened?” That was the beginning of a long, long nightmare. “Mom, I just felt something on my body.” | Mothers Against Wind Turbines Inc.